It's not a luau without these authentic coconut cups! 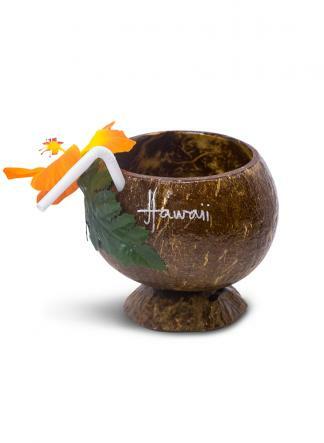 These coconut shells are accessorized with a silk hibiscus flower and plastic straw - ready for any beverage. They'll be the perfect touch to your party. Color of the hibiscus flowers will vary. Available in red, pink, purple, and orange. Actual size will vary depending on real coconut shells.